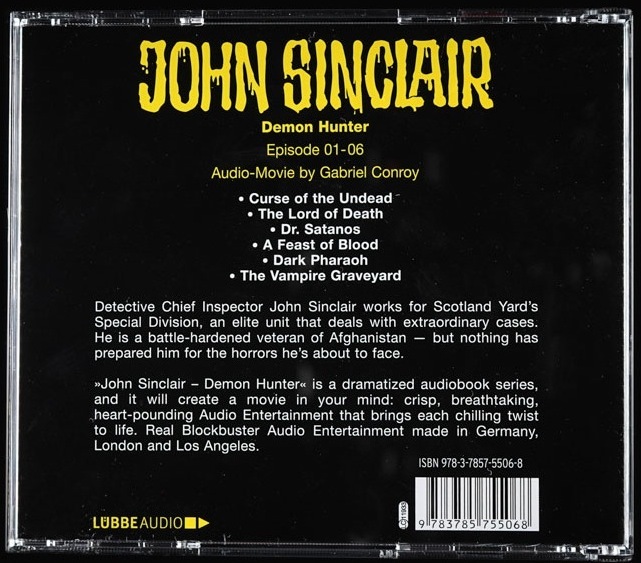 Produktinformationen "John Sinclair Demon Hunter - Episode 1-6"
Detective Chief Inspector John Sinclair works for Scotland Yard´s Special Division, an eliteunit that deals with extraordinary cases. He is a battle-hardened veteran of Afghanistan - but nothing has prepared him for the horrors he´s about to face. 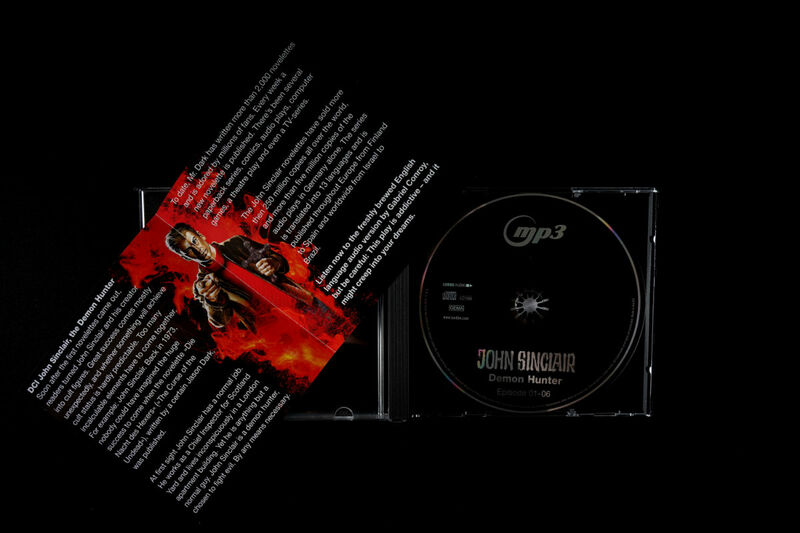 "John Sinclair - Demon Hunter" is a dramatized audiobook series, and it will create a movie in your mind: crisp, breathtaking, heart-pounding Audio Entertainment that brings each chilling twist to life. Real Blockbuster Audio Entertainment made in Germany, London and Los Angeles. Kundenbewertungen für "John Sinclair Demon Hunter - Episode 1-6"